It’s hard to argue against the convenience of technology such as Google Pay and Apple Pay. Whipping out your phone and paying for your lunch without having to waste time fiddling around in your wallet for a card, and then entering a pin is a godsend. Google Pay is looking to increase the convenience with support for peer-to-peer payments and mobile ticketing. Going forward, Google Pay will allow users to pay to or request money from a friend via peer-to-peer. This was already doable via the separate Google Pay Send app, but it is now rolled in to the main Google Pay feature set. This means that we will likely see Google Pay Send support wind down in the future. As TechCrunch reports, the second big addition is the ability to save mobile tickets and boarding passes within Google Pay. There will now be a ‘passes’ tab that can include loyalty/gift cards for stores, or travel tickets. So far, Ticketmaster and Southwest have been announced for support at launch, with services like Eventbrite, Vueling and Singapore Airlines to follow. These new features are only currently available on Android but Google plans on bringing as many features of Google Pay on Android to other platforms as possible. KitGuru Says: The mobile tickets addition is a great idea, especially for those that travel often with different airlines. It helps cut down on what are usually very bloated apps. 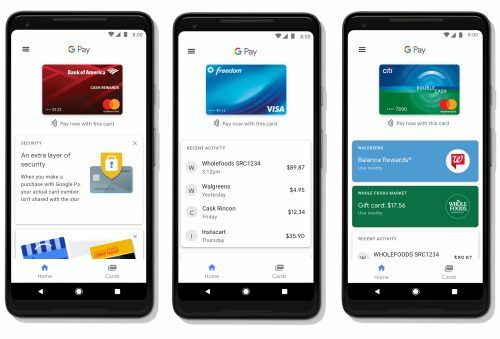 Do you use Google Pay often?